Officials say a child was injured after falling into the rhinoceros exhibit at the Brevard Zoo. 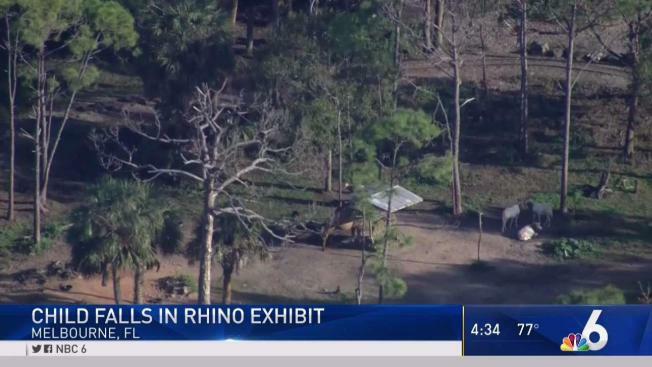 Officials say a 2-year-old girl has been injured after falling into the rhinoceros exhibit at a Florida zoo. Brevard County Fire Rescue officials said the girl was taken to an Orlando hospital for treatment Tuesday afternoon. Her mother was also taken to a hospital for treatment. The incident happened at the Brevard Zoo in Melbourne. The zoo's executive director Keith Winsten tells Florida Today they don't believe the rhino's horn touched the child. The extent of her injuries wasn't immediately known. He says she fell through the steel poles that separate guests from rhinos during a hands-on experience. Zoo spokesman Elliot Zirulnik says the zoo has offered the hands-on experience daily since 2009 without any incidents prior to Tuesday. This story has been corrected to show that the injured child is a girl, not a boy.